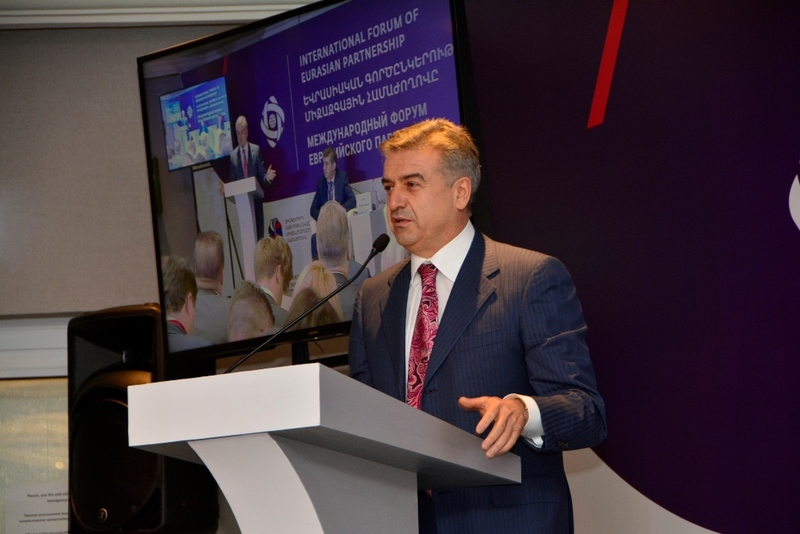 The International Forum of the Eurasian Partnership will be held in Yerevan on October 5-7. 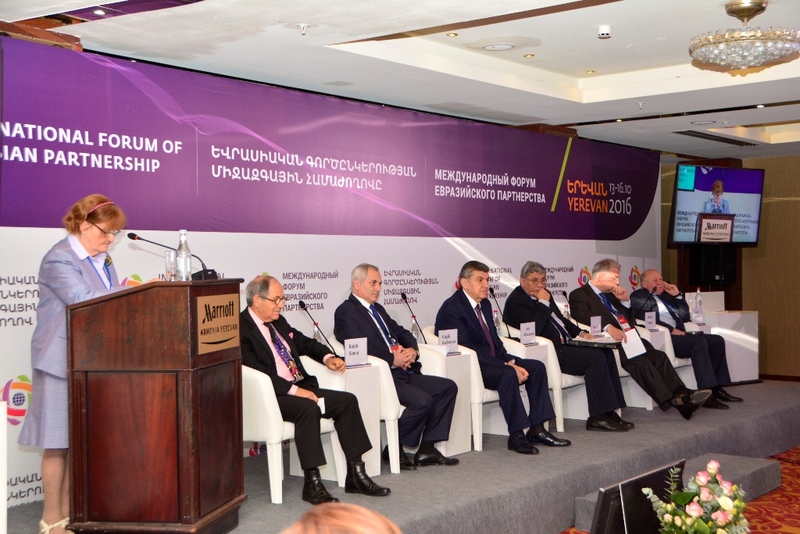 The initiator of the forum is the President of “International Forum of the Eurasian Partnership” NGO and the Union of Armenians in Russia, UNESCO Goodwill Ambassador Ara Arshavirovich Abrahamyan. 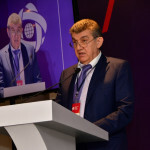 The forum is held for the second consecutive year jointly with the Eurasian Economic Commission, the Government of the Republic of Armenia and the Ministry of Industry and Trade of the Russian Federation (the operator of the forum – “Roskongress” Fund). 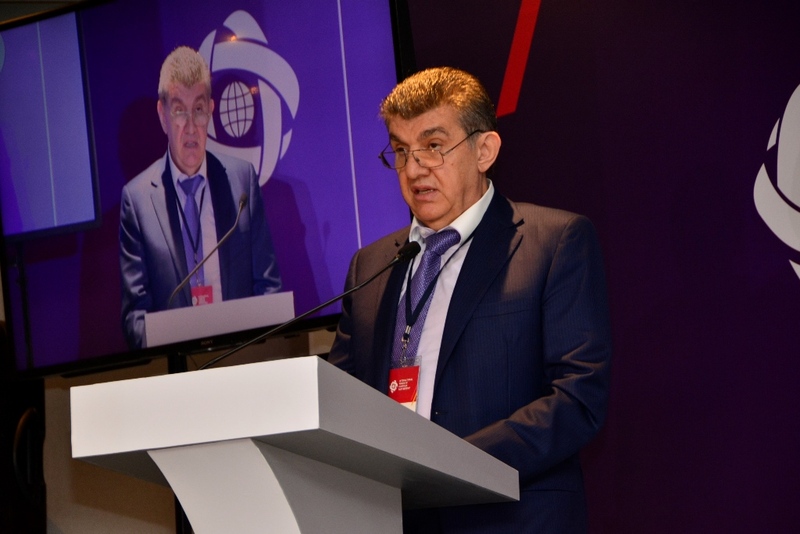 The purpose of this event is to create a permanent information and discussion platform for bilateral and multilateral cooperation of the business communities of the EEU, CIS, BRICS, SCO, EU, etc. High-level representatives of governments, business circles and expert community, heads of famous world companies from Russia, Armenia, Belarus, Kazakhstan, Kyrgyzstan, as well as the USA, China, Qatar, South Korea, India and other countries will attend the Forum. 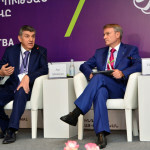 Vladimir Chernov, Head of the Presidential Administration of Russian Federation for Interregional and Cultural Relations with Foreign Countries and others. The event is held with the participation of the Sixth Russia-Armenia Interregional Forum, International Jewelry & Watch Exhibition “Junwex Yerevan Show”, Yerevan Fashion Week “Golden Lace Week”. 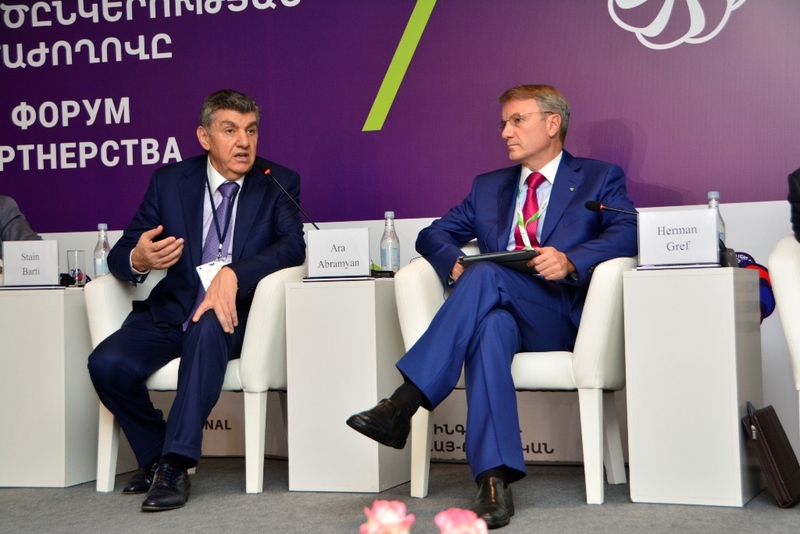 The first International Forum of the Eurasian Partnership was held in October 2016. 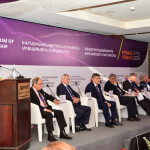 The forum was held at a high level of representation with the participation of the Prime Minister of the Republic of Armenia, Karen Karapetyan; Chairman of the Board of the Eurasian Economic Commission, Tigran Sargsyan; Minister of Transport of the Russian Federation, Maxim Sokolov; UNESCO Goodwill Ambassador for Dialogue among Civilizations, President of “International Forum of the Eurasian Partnership” NGO, Ara Abrahamyan; Chairman of the Executive Board of Sberbank of Russia, Herman Gref; head of the Federal Service of Military-Technical Cooperation of the Russian Federation, Dmitry Shugaev; President of the Association of Russian Banks, Garegin Tosunyan; Ambassador Extraordinary and Plenipotentiary of the Republic of Korea to the Russian Federation and to the Republic of Armenia concurrently, Park Ro-byug; President of the Institute for Strategic, Political, Security and Economic Consultancy (ISPSW), Peter Roell; Executive Director of the “Forbes & Manhattan”, Stan Barty; a member and former vice-speaker of the British House of Lords Baroness Caroline Cox and others. 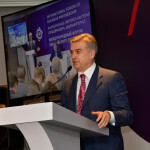 As a result of the development of the first Forum and the agreements concluded within its framework, during the past year Ara Abrahamyan, the President of “International Forum of the Eurasian Partnership” NGO, had organized a number of mutual visits with the participation of ministers and deputy ministers, heads of interested corporations with the aim of establishing production links and resuscitation of existing or creation of new productions in Armenia. On October 7, participants and guests of the Forum will also take part in the Solemn Opening Ceremony of the Cathedral of the Russian Orthodox Church, a temple dedicated to the Exaltation of the Honorable and Life-Creating Cross of the Lord, built on the means of A. A. Abramyan.